Going from a hobbyist to a serious pro might be easier than you think. Before we begin, it must be said that the title of this article is a bit misleading. Ultimately, the only true path to mastering photography is hard work and repetition, and there are no shortcuts. What this article deals with is the little things that separate the good from the great, things that go beyond the technical skills and the theory of photography and tap into something deeper to create that “wow” effect every photographer strives for. Even if we all shared the same level of technical expertise, some photos would be better than others. Some may write it down to talent or a keen eye, but that potential alone is never the whole story. There are specific ways photographers approach their subjects and photography in general, as well as specific things they do to achieve a certain effect. As photography is an insanely broad field, there are no big pieces of advice applicable to everything. What we will try to do instead is provide some foundational principles for your continued research and development. After all, the only way to truly conquer something is to figure it out yourself, and hopefully these principles will set you on the right track to becoming better at your craft. As we’ve already mentioned, photography is a very broad field. Nobody does just photography. Every photographer operates in one or more specific segments of the craft, and the path to becoming better at it is narrowing your playing field and focusing on the unique visual vocabulary of the chosen field. Having a firm grasp of photography in general is never a bad thing, but only once you get into the nitty-gritty of a specific problem you will ultimately figure out the little tricks of the trade that add to the “wow” effect. Perhaps just as important as your grasp on the technical aspects of photography is your understanding of the broader context of photography, it’s specific requirements and purpose in the various aspects of modern life. You won’t be good at photography until you understand the role that it plays and the environment in which it exists and communicates. And while you will easily find tutorials on the technical aspects of photography, the more comprehensive understanding of the broader context is not so easy to gain. You may do your own research, but you might also consider pursuing continued formal education. Well-structured curriculums such as this contemporary master course in photography focus both on hands-on technical training and on understanding the very nature of modern communications and photography’s place within it. This second aspect will be of great help in articulating your own visual message. OK, “idol” may be a strong word, but surely there are photographers out there who you respect or admire, or envy, or who simply do some things better than you. Once you identify them, try to analyze what are the specific things that they do to achieve that result you admire. Even if you don’t understand the technical process behind a certain effect, or don’t have the right vocabulary to formulate it, you will recognize it on the basic visual and intuitive level. Once you know what you’re going for, experiment with your process in order to try and replicate the result, and also take it to other photographers who may be able to illuminate you on the technical specifics. With every new attempt you will get slightly better and understand slightly more, so repeat, repeat, and then repeat again. It is probable that you’re not simply taking pictures at random in your everyday work and that you are working with concrete goals and effects in mind, but try to take this to a new level. Approach your work as a series of studies of specific topics, or techniques, or themes. Approaching the same problem from a number of different angles will clear the picture on what works better and, over time, make your process faster and more efficient and fill your arsenal with a whole bunch of useful little tricks. 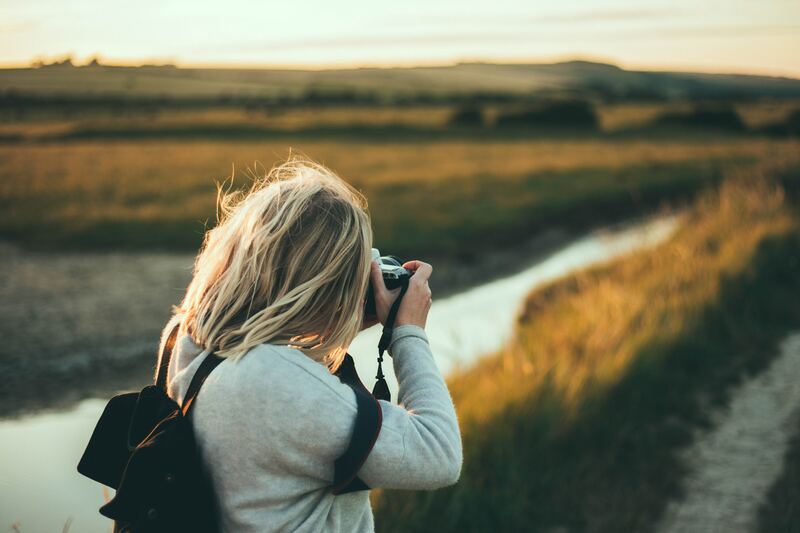 We hope that these basic principles will allow you to approach photography from different perspectives and help you in your further development. Enjoy the process!